Before you get engaged, you will flip through countless magazines, stare at ladies' left fingers and scour the internet for your perfect ring. Of course, you will see many that you love and admire, but only one will make the final cut. 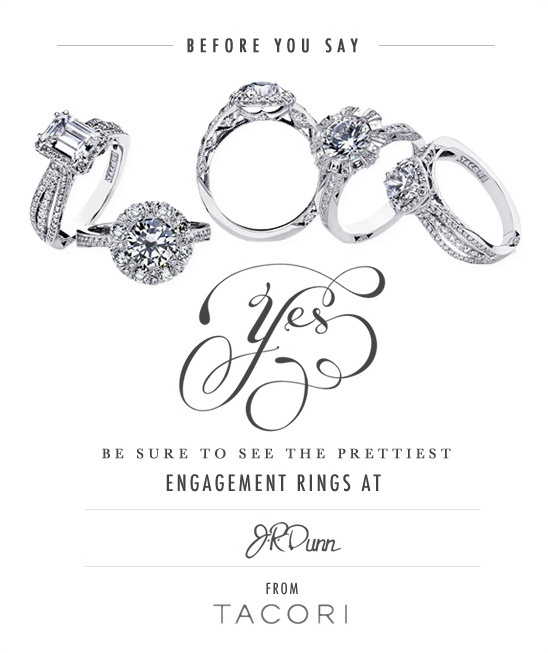 Before you say yes, we highly suggest that you try on a few beauties from Tacori over at J.R. Dunn. These remarkably detailed rings fuse old world elegance with modern glamour and style. As you can see from a few of our favorites below, each ring is overflowing with remarkable details. We can already see you staring at your finger for hours oohing and aahing over how pretty it is. We know we would! 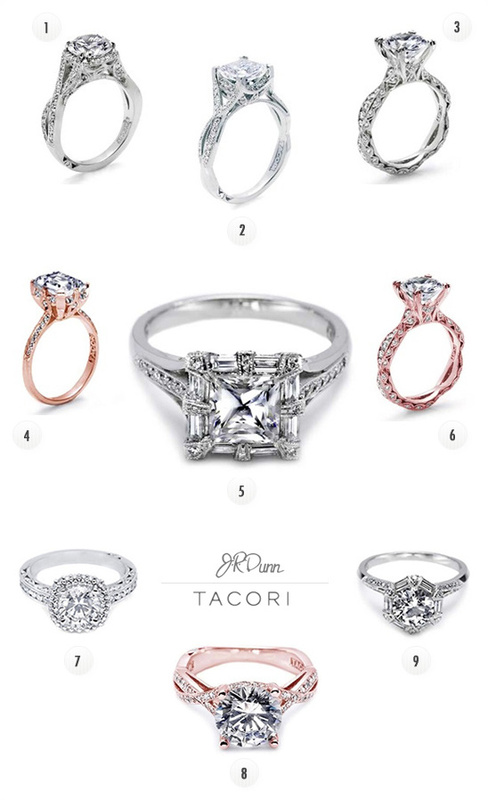 We have rounded up a few Tacori rings that we wouldn't mind saying "yes" to.